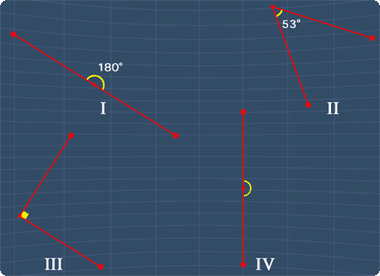 Which of the following are straight angles? Angle I is definitely straight angle as it is equals to 180°. 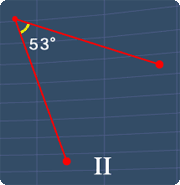 As for angle II, it is not a straight angle. This is because this angle is not equals to 180°. Angle III is definitely not a straight angle. Angle IV is a straight angle. Clearly, only I and IV are straight angles. Hence, the answer is A.